Texas...the Lone Star state...The land where everything is bigger and better, so they say. The one state in the union that has always felt that it might be just as comfortable on its own as a member of the whole. To be honest, it's a state I've never visited - not that I've got anything against the state or its natives, it's just that I associate the south in general as being 'hotter than blazes.' And I was born with a malfunctioning body thermostat - give me a brisk, Arctic blast any day, as long as I can stay away from that blistering hot, soggy Gulf air. Now I'm not going to proceed to make some silly analogy to the music emanating from Texas as being connected in any way to the climate of the Gulf coast, or anything related to the state's cultural heritage (though the imagery provided a nice way of filling out my graphic for this article, not finding any spacerock artists in El Paso mind you). In fact, I really couldn't think of any cutesy way of summing up my recent exploration into the psychedelic stylings of the south coast. I looked for some sort of common denominator that once distilled to its true essence would make me become a facilitator of some new catchword or phrase that would soon dribble from the tongues of impressionable music fans everywhere. Alas, there isn't one...Texas is just one more place where in the recent decade, a handful of talented folks have found the inspiration to create psychedelic mind-trips and cosmic journeys through music. And then somehow manage to make them available to the global community, accepting the unavoidable do-it-yourself approach. So the idea for a Texas scene review took root simply because it just became obvious to me that there were an awful lot of new bands all of a sudden. Once my intentions were decided, I set out to catch up on some of the artists that had settled under the psychedelia umbrella, but just hadn't quite appeared on my radar screen. It was then I discovered that I'd already been scooped by a writer at Magnet Magazine, who did a fine article on the subject in their Sept./Oct. 1997 issue (#30) - (Go check it out.) But luckily I discovered a number of bands (five to be exact) they had either missed or ignored, and they dismissed the Austin presence entirely! So let's right that wrong, and get started. For readers who are completely unfamiliar with Texas spacerock and psychedelia, I'd imagine that Arlington's Liquid Sound Company might be the safest place to start. This trio is America's answer to the Ozric Tentacles or any number of Delerium label bands. In fact, when making up my list of 20 quintessential space rock albums (published in AI's #2 and #3), I might have chosen Liquid Sound Company's Exploring the Psychedelic (1996) had I heard it before the Ozrics' Strangeitude or Dead Flowers' Altered State Circus. Yep, this disc is one instant bong-hit alright. Founding member John Perez is a veteran of the doom metal genre from his previous band, Solitude Aeturnus, but there's no hint of that heritage on Exploring, at least until the next-to-last track, "Swallow." The other six tracks all fall right along the lines of trippy psychedelia set before in the UK free festival scene, employing that same duel guitar sound...occasional hard-driving riffs countered by gurgling, bubbling guitar licks. Accordingly, Liquid Sound Company hasn't broken any new ground whatsoever, but I still love this album. Another can't miss item for AI readers is 7% Solution's All About Satellites and Spaceships (1996), which bridges the gap between modern dreamy space (aka, shoegazer rock) and classic spacerock. Accordingly, fans of the Verve (particularly A Storm in Heaven) and Hawkwind alike should delight in 7% Solution's style. "Built on Sand" and "Happy?" are both the thickly-layered misty melange that Levitation used to create so well in their day. On the other hand, "Revolve" and "Blindshore" are cosmic mindtrips in the Melting Euphoria style, and really bring out the best in these Austin natives. "The Road and the Common" is a classic 'cigarette-lighter' ballad, and maps out yet one more dimension for this band that can range from ambient to jam rock with ease and continuity. A real find. Along similar lines are the Transona Five from Denton, TX (a college-town suburb of Dallas/Fort Worth). 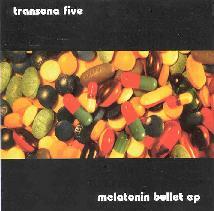 I'd best characterize T5's sound as 'Space Jangle,' a laid-back folksy blend of cosmic and acoustic sounds that could be a cross between Spiritualized and R.E.M. As with 7% Solution, a similar dream inducement results from listening to either the CD-EP Melatonin Bullet (1996) or the full-length Duffel Bag (1998). Often employing echoey or shimmery guitars and farfisa-style organ, T5 can also tend towards the sounds of Füxa and the like (Stereolab I guess). On most tracks, the vocals are softly-delivered, as if emanating from within your own head. After a while, it's easy to get a little antsy waiting for them to crank it up a bit, and thankfully they finally come through with "Estrogen Blaster" on Duffel Bag. The Neu!-style hypnotic rhythm builds in energy throughout the tune with bits of phased-guitar splashed overhead, all the way to the heavy fuzz-drone ending. Countering this is the bit of silliness displayed in the Mitch Greer (of O.E.D. and Go Metric) cover "Pourquoi Manges-tu?," which despite not knowing French seems to me to be a song about eating cheese (fromage). It's reminiscent of the Madness brand of goofy ska, backed with roller-rink organ. In the end, Transona Five gets a bit too 'cute' at times for my tastes, but they do occasionally hit on something great, and generally make things interesting with a mix of different styles. 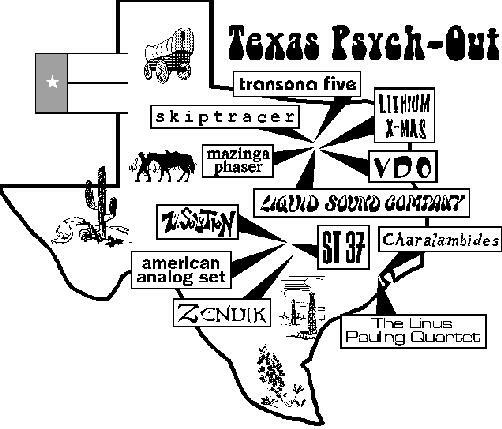 Two more excellent psych bands from the D/FW metropolitan area are Mazinga Phaser and Vas Deferens Organization, but since Jerry Kranitz already profiled these artists in our last issue (AI#4), I won't really have much to add. I meant to secure a copy of Mazinga's newest CD (Abandinalhope), but alas, it was not in stock from the place I'd ordered it. So upon borrowing Jerry's LP copy (now out of print, I believe) of Cruising in the Neon Glories of the New American Night, I got my first taste of Mazinga's original blend of trippy psychedelia, drone rock, and ambient interludes. With the female vocals and occasional trumpet parts, these Texans had really developed something of their own. "New Journeys to the Edge of Rom" was the real highlight for me, a Jefferson Airplane-type psych jam built around a memorable guitar riff. Unfortunately, my understanding is that the band may have just recently called it quits, so now I'm even more anxious to get my hands on that new CD, before it disappears into oblivion. Now, the Vas Deferens Organization is beyond original...I don't think their 'time' will come for another 10 or 20 years from now. There are some things I've heard from these guys that I just can't understand, and I have a pretty open mind and plenty of experience with odd musical styles (e.g., I took to Magma almost instantly). You could say that Matt Castille and his cohorts (and he's got a lot, both VDO members and friends & relations...see last issue) are experimental to say the least. The first material I heard was the CD-R compilation of material released (or to be released) on the Timothy's Brain (Evanston, IL) label. Included there were a pair of tracks from the Tilt CD (which may or may not have been made available yet) that were just about the craziest freakouts I've ever heard in my life...and that's a good thing. I don't know what sort of crappy old analogue synths they uncovered for recording this material, but throughout much of the first track (for which I don't know the title), the listener is treated to a continuous whirring siren that builds up in pitch, and then slowly down again. It's totally insane, and frankly, irresistible. Some of the early VDO works (Queas and Art, for example) get pretty strange, avant-garde artsy material that could be called 'Rock in Opposition to RIO,' as if RIO was too mainstream. One thing I really need to mention is the new location of the VDO homebase, who have just recently drifted east from Texas into Louisiana. Moving on...one other thing that seems to be a Texan specialty is 'acid space-punk' with that wonderfully heavy and dissonant fuzz-guitar sound. Helios Creed and his west coast cohorts in Chrome may have been the lone purveyors of this style in the 80's, but their efforts didn't go unnoticed as several acts in the deep south have continued in this tradition. ST 37, an Austin band that derived its name directly from a Chrome track, has even transcended space-punk and proceeded into a modern, updated realm that snips krautrocky hypno-rhythms and jams them into a swirly mix of cosmic effects and fuzzy dissonance. This evolution in style is immediately evident when you take a then-and-now journey between their debut CD The Invisible College (1991) and last year's SpaceAge. The former lingers close to the fuzz-laden punk stylings of their original mentors, Chrome. However, a sign of things to come shone through on several excellent tracks like "Ghosts of Tempera Nymphs" and "Gormless," ushering in a tendency towards those krautish hypnotic rhythms that were to become ever more prevalent in ST 37's future works. From the opening strains of "Heather Catherine Tallchief" to the waning moments of "Night of Heaven," ST 37 demonstrate their modern fully-fledged sound on SpaceAge, presented in a most eerie and spaced-out fashion. The cover art imagery of a evil metallic bird, skeletonized stormtroopers, and Stonehenge really do tell you what to expect upon digesting the contents. It's obvious that these Austin natives have managed to get some notice outside their homeland, not only performing at both Strange Daze festivals (to date) in the north, but also getting their latest album released on a European label (but then, I guess that's indicative of how little notice they receive in their home state). However, some recent local activities have been quite intriguing, including a live performance during the showing of Fritz Lang's 1926 sci-fi flick "Metropolis." I couldn't imagine more appropriate accompaniment. From Dallas comes Lithium X-mas, an older band (still active, apparently) that specializes in heavy fuzz. My initial indoctrination to the band was the version of Hawkwind's "Magnu" that appeared on a 4-cassette compilation of Hawkwind cover tunes put together by a fan consortium. Officially, it had originally appeared on Lithium X-mas' debut CD (Bad Karma), itself a compilation of several past recording sessions (singles and EPs originally). There's a strong coherence to this album though, most tracks sounding as if the Clash were attempting space-jams. "Ballad of the Hip Death Goddess" (an Ultimate Spinach tune) has a particularly groovy cosmic flavor though (dark and dreamy, a la Architectural Metaphor). Red Crayola's "Hurricane Fighter Plane" was given a punchier treatment, jacking up the pace to a much more frenetic level than the original. Overall, a decent first effort, though perhaps not very representative being mostly cover songs. As of 1997, the band supposedly were working towards releasing a brand new disc (tentatively titled Star Trouble), but I haven't been able to find evidence of its release to date. 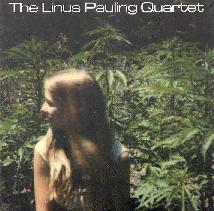 The oddly-named Linus Pauling Quartet (why didn't *they* do the cover of Can's "Vitamin C" instead of ST 37? An inside joke for those who know who Pauling was.) hails from Houston, a six-piece space-punk outfit that rose out of the ashes of The Mike Gunn. LPQ's latest (the third) is Killing You With Rock, which it would almost certainly proceed to do if left untreated. Like ST 37, LPQ has gone overseas (to Germany's September Gurls; home also to California's Mooseheart Faith) for releasing this latest one, leaving the comforts of their Houston-based Worship Guitars label. This is the sort of album that as soon as you think you know what to expect from that point on, the next minute you discover you were sadly mistaken. 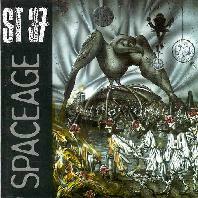 A great deal of aggressive bass-heavy space-punk is to be found on Killing You, but it's not all doom and gloom. 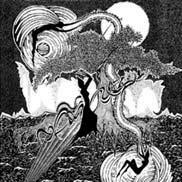 For example, "Sunn Beta" is a clean, danceable 60's style tune (think Byrds) carried by jangly guitar bits and sax lines over top - a real contrast to the hard-driving, rumbly nature of many of the other tracks. The real highlight on this newest LPQ release is the 20-minute, three-part masterpiece "The Great Singularity." We begin with ten minutes of blanga space-punk ("The Colour out of Space") complete with solo sax freak-outs that would garner the Nik Turner seal of approval, and even a touch of recited poetry. LPQ then shifts into 6/8 time for the middle section ("Interstellar Absolute Power Bootycall Explosion") with synths and oscillators swirling above minor-chord guitar jangle. Finally, section three ("Dance of the Bugpeople") roars through with a totally bombastic sound, romping and stomping throughout (imagine Guru Guru playing "Time We Left..."). This band is definitely one for the stoner rock crowd, but especially those who enjoy a bit more crazed psychedelia in their mix. Oh, hell with that, it's a must have for everyone! Charalambides features Tom Carter, another Mike Gunn alum, along with his wife Christina and drone/noise guitarist Jason Bill. After some effort, I was finally able to track down their 1994 (?) release Historic 6th Ward, a very d-I-y effort no doubt, the "booklet" inserts even appearing to be individual homemade art creations. The Carters share vocal duties, Christina often providing 'space whisper' accompaniment to swirly psych jams ("Splitting" being the best of these). The guitar sound is very bright, and sometimes too dissonant for my ears - but if you have no problem with the guitar work of Gary Ramon (SunDial) or Nick Saloman (Bevis Frond), then you probably won't mind too much. "High in my Head" is a slow, droney piece with fuzzed-out bass and thin off-key guitar...very Faust-like. But then that's sandwiched between a folkish tune ("Gypsy Woman") and an accordion waltz ("Now the Day is Over"), so Charalambides don't stick to one formula. In recent years, Jason Bill has split from the Carters (who have themselves moved from Houston to Austin) and has relocated to Virginia, where he has formed a duo with Jack Rose. Bill & Rose released Via St. Louis on the Drunken Fish label (DFR-36), a journey even deeper into the drone-noise blitzkrieg style. This is one for folks who want their music to force their minds out of any vestige of complacency. Personally, I didn't find too much interesting music buried in the blaring and screeching mix. More to my liking was Skiptracer from Denton, a space-drone quartet who released their 1996 LP debut on Gregg Weiss' (Asteroid #4) Lounge Records. Unlike these other artists, Skiptracer shifts the tone down towards the bass-heavy end, and thereby has more in common with the early Hawkwind sound. In fact, tunes like "Slowburn" are Space Ritual-style blanga jams; the only difference being the modern fuzz-drone quality to the sound. Echoed guitar statements and distant vocals act as embellishments, and together the full mix has a sleep-inducing disposition. But then you could already tell that from the song titles alone, e.g., "Lull," "Somatic," and "Drift." The Zendik Orgaztra is the musical outlet for the elder statesman of the tribe, 70-something Wulf Zendik. Wulf's music relies more on the chanted poetic verse, which is always very expressive and delivered with great intensity. Wulf's voice is similar in ways to Nez', though with a tremendous vibrato that is really closer to 'quivering.' Talk about spooky! (Note: It may take some getting used to.) Peculiar synthesized noises, tribal drumming, and an overall more 'organic' flavor prevails in the music of the Orgaztra. On CD, the 1992 EP Strontium Rain was combined with ZTB's Truth. An earlier (?) recording (I'm guessing 1986) entitled Dance of the Cozmic Warriorz reappeared on CD in 1996. Both discs have merit, though the split one is recommended since each style is represented. Dance should be sought out also though, if only to hear Wulf's "Let's Get Stoned." We'll wrap up our Texas travel log with The American Analog Set from Austin, the band that perhaps seems the most out-of-place. Their style of hypnotic space, heavy on the moogy synth, is more prevalent in the upper midwest (e.g., Detroit and Chicago). In fact, I came across their 1996 release The Fun of Watching Fireworks at Neptune Records in Detroit (while visiting with Asteroid #4). From what I had read about American Analog Set, I really didn't expect it to be my sort of thing, but I found I enjoyed it quite a lot. Again, they create neo-krautrocky hypno-rhythms and strum their guitars and sing along quite merrily. 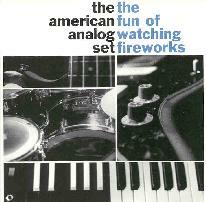 Sometimes there's a bit of honky-tonk flavor to the mix, so American Analog Set has some original charm. At several points, they perform some trickery with the recording, where the music is intentionally mis-tracked (I think) and you wonder if your CD player has gone on the fritz. That sort of illustrates the one problem I have with some of these bands, i.e., they get a little too 'cute' for their own good. Still, worth the effort of checking out. Well, thus ends my exploration into the neo-psychedelia bloom of the state of Texas, from the Red River to the Rio Grande. With a limited budget (Hell, no budget...save my own pocket! ), there were a few artists on my assembled list I wasn't able to track down in time. These include Ohm, Iron Bong, Jaloppy, Crevice, Bag, and J. Bone Cro. From the experience of the past few months, my guess is that all of these artists are worth pursuing as well. From dreamy space to trippy psychedelia to fuzzy space-punk, Texas has just about it all, and is nothing short of a hot-bed for new talent. Now it's time for the rest of the world to notice.